Dr. Richard Lee is graduate of the University of Birmingham and a full member of the British Academy of Cosmetic Dentistry, American Academy of Cosmetic Dentistry and an alumnus of the Dawson Centre for Advanced Dental Study, Florida. 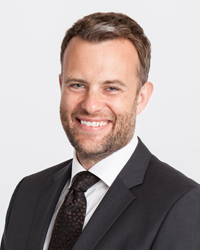 He has spent many years in private practice in London's West End and on Harley Street focusing primarily on cosmetic and aesthetic restorative dentistry treating many well known faces of stage and screen. Dr. Lee lectures on a national level and travels abroad several times a year to attend professional conferences. Following an international search, Dr Richard Lee has been selected to work closely with Proctor & Gamble in producing a series of global commercials for Oral-B and Crest toothpastes & brushes. 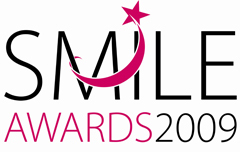 He says: "I am delighted to have been chosen to help promote oral health care globally and to work with such important and innovative brands"
In 2009, he was the winner of the "Conservative Smile (Composite resin)" category at the FMC Smile Awards. 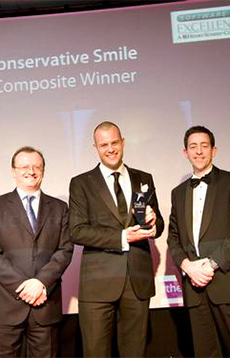 Dr Richard Lee was a finalist in two of the categories and was highly commended in one of the categories. 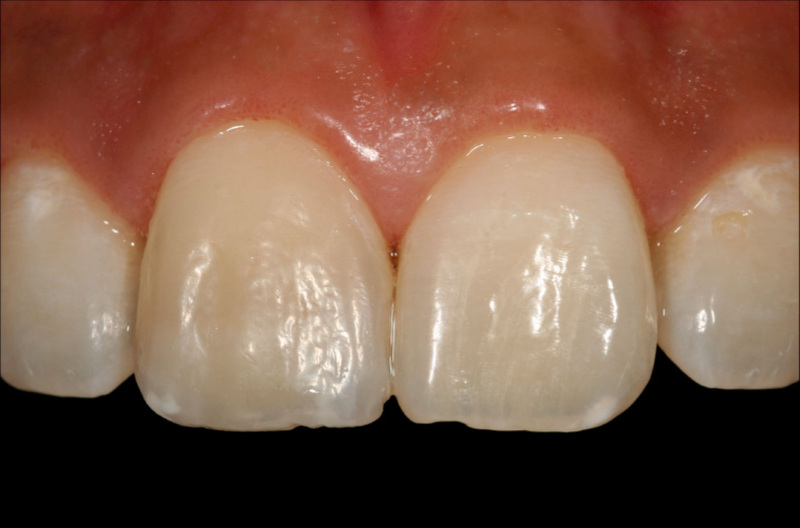 Ultimate aesthetics can very often be achieved with the use of ceramic restorations. 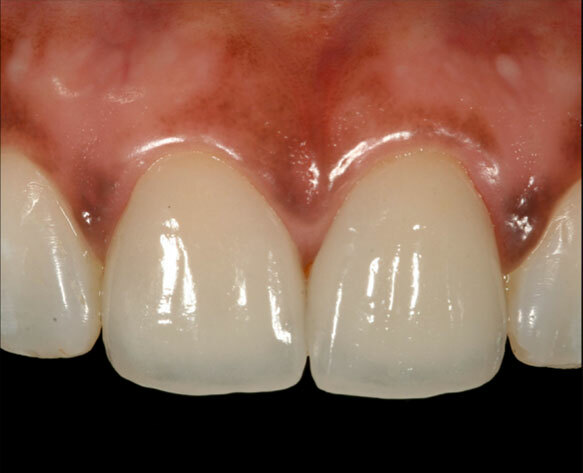 The strength and beauty of modern day ceramics can be harnessed by highly skilled dental technicians who can in turn create restorations that look vital, beautiful and true. This patient had a discoloured, short front tooth, he also requested all of his teeth be brighter. Whitening of the teeth followed by the placement of a single porcelain veneer dramatically improved this smile. Following whitening, placement of 2 porcelain veneers and composite bonding the beauty of the smile is restored. Harmony achieved. Macro photography shows the perfect integration of porcelain with the natural teeth. Old crowns and worn teeth created an aged smile. A comprehensive approach was required. 10 ceramic veneers were used to transform the smile. Old metal-ceramic crowns that required replacement. 2 all ceramic crowns blend in with the surrounding natural teeth and restore health to the gums. This patient requested to have a brighter and better smile. Tooth whitening and replacement of her old crowns gave her a fantastic looking smile. Aesthetic integration. 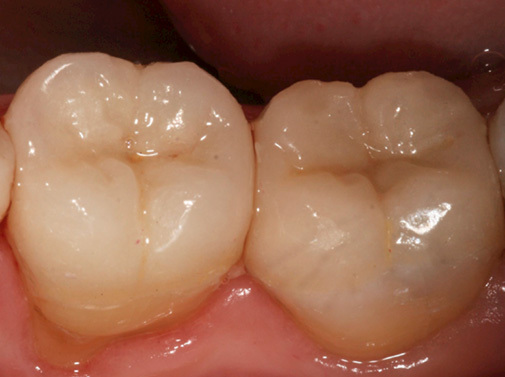 A close up view shows how natural the new crowns look and well they integrate with the surrounding tissues. This is a material that we can add directly to teeth, sculpt to the right shape and then harden. It allows us to rebuild broken teeth in a very aesthetic and conservative way as the process if often purely additive. This is where science and art meet. A fall had lead to this front tooth fracturing. The patient requested the most conservative option to rebuild the tooth. Composite resin was applied directly to the tooth in several layers to recreate the missing tooth structure. By careful observation and application of the appropriate resins a very natural result can be achieved. A fall had resulted in chipped and damaged front teeth. 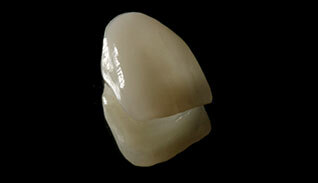 With modern composite resins we can replace the tooth structure that has been lost. 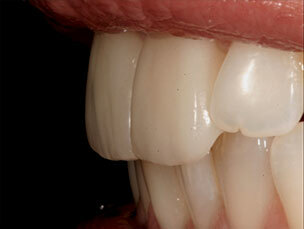 Composite bonding completed, full aesthetic integration has occured resulting in a natural looking restoration. Not something just for children, orthodontics is transforming many peoples lives. As braces become less conspicuous and treatment times shorten more and more people are able to experience the benefits of modern orthodontics. Crooked front teeth can now be quickly aligned using orthodontics. Using an Iman Aligner, 10 weeks later the front teeth are straight. Crooked lower teeth are very common and can be difficult to clean around. A series of clear aligners were used to straighten the lower teeth. This is an effective and conservative way to lighten the colour of the natural teeth; to turn back the clock and have a fresh, healthy looking smile. This patient wanted lighten his very dark teeth whilst wanting to remain as conservative as possible. Following whitening the smile looks fresher, brighter and younger. This patient had a tooth that had become very dark following root canal therapy. She requested to lighten this tooth only. The tooth has been lightened transforming the whole smile. Singing, speaking or laughing - our back teeth are on show more than we might think and shouldn't be ignored. By using composite resin or ceramic we are able to produce incredibly life-like restorations and not simply 'white-fillings'. By giving a tooth back it's form, anatomy and by carefully bonding our restorations in place we can restore not only aesthetics but strength as well. This old filling has fractured and is no longer sealing and protecting the tooth. 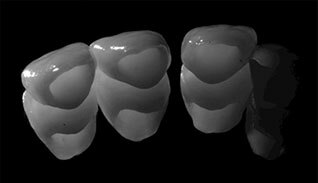 Composite resin has been used to mimic nature by recreating the same features as the natural tooth, making our restoration virtually invisible. Tooth decay and cracks in the teeth meant that these fillings needed replacing. Two ceramic onlays have been hand crafted by a master ceramist ready to bond onto the teeth. Ceramic onlays bonded onto the teeth, not only do they blend in beautifully with the natural tooth but are incredibly strong. "I am grateful the the skilled dental technicians who's ceramic work has been showcased within this book. Most notably, I would like to thank Mr Khristo Ivanov for his skill and dedication to perfection."